Hello everyone! Today is my birthday and it was a great one -other than the pounding headache (apparently my head didn't get the memo that it wasn't supposed to hurt today.) But I have been blessed with many new friends this past year and I had a very nice day despite my head. 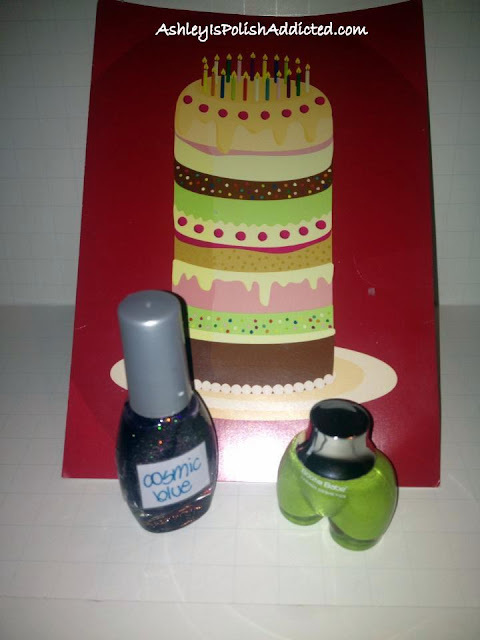 I just have a couple pics of my birthday mani to show you along with several "thank yous" to very lovely friends who were thoughtful and sent me lovely birthday presents. They are not necessary, really. 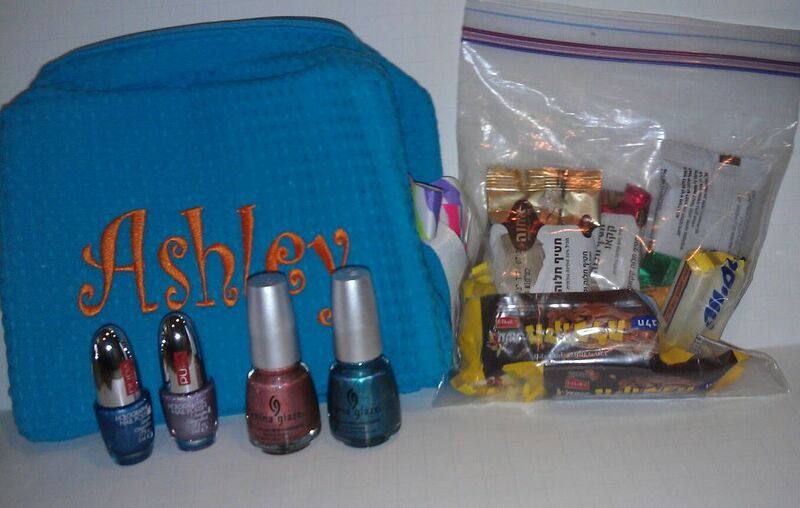 I love just knowing that anyone was nice enough to think of me, but the gifts were so sweet that I wanted to share. First up, my mani. I didn't have time to get proper pics so these are kinda crappy, but I suppose they are better than nothing. 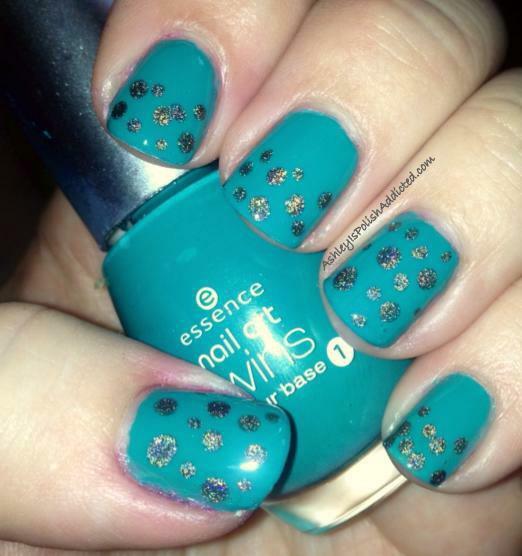 This is Essence Bella with polka dots done with Layla Flash Black. I received this lovely package from my uber sweet friend Jen at Jen's Wonderland. The next lovelies are from the super sweet Sandy at Dandy Nails. And lastly I have my gift from my lovely friend Sheila at Pointless Cafe. Happy Birthday! I'm glad you got spoiled, you certainly deserve it! I hope that headache goes away. 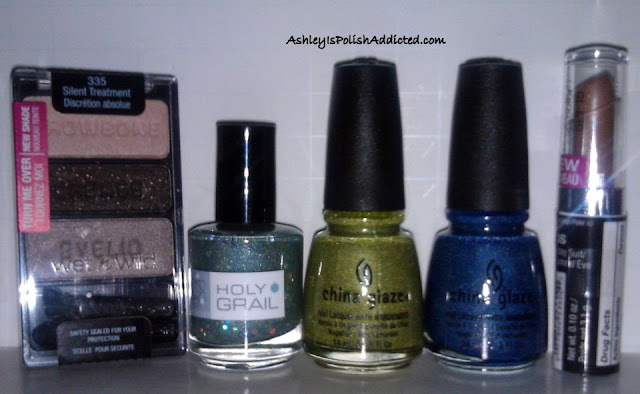 Have fun with all of your awesome new polishes!!! Happy birthday! You got some goregeous gifts, and what a lovely mani for your special day! Looks like you certainly got spoiled! Happy birthday!